Marquez: "I’m sure it’s going to be tough"
Repsol Honda rider Marc Marquez heads to Mugello in Italy for the 5th round of the 2013 MotoGP World Championship with his head held high after an unexpectedly stunning performance in his first wet grand prix at Le Mans, two weeks ago. After a hard fought third place in France, the young Spaniard lies in second place in the world championship with 77 points, just six behind his elder team-mate and countryman, Dani Pedrosa. It took a mere few laps for Marquez to get to grips with handling an RC213V around a wet race circuit a fortnight ago; this experience looks as though it will come in handy to the rookie once more this weekend, as the forecast for Mugello currently looks rather bleak. 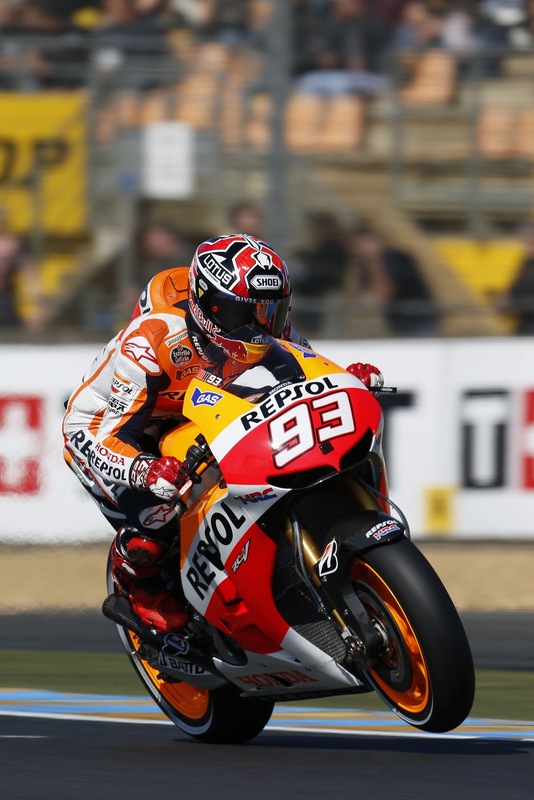 In the dry however, Marquez has a good track record at the circuit so far in his career. It was the scene of his first ever grand prix victory in the 125cc class back in 2010, and his third victory of the season the following year in Moto2. Previous Previous post: Haslam "I think it was the right decision not to ride"
Next Next post: Rossi: "We will try to do everything to get the best result"